After working for several other manufacturing companies, Wilson decided it was time to go it alone. Well not quite alone, he and his fourteen year old son, Wilson Todd Bohannan, set up a small shop behind their modest Brooklyn home and began assembling padlocks. Wilson Bohannan was granted his first patent on April 17 , 1860. Their success didn't happen overnight, but by 1870, Wilson was able to move out of his garage and into a much bigger building. His new workshop was located on the comer of Kossuth Place and Broadway, also in Brooklyn. In a few short years, Wilson Bohannan & Co. began to enjoy some success. Steam engines were purchased and used to power several new machines. The steam also provided heat during winter to a vastly growing number of employees. Production increased dramatically. In 1888, the company was incorporated and business was booming. That same year Wilson Bohannan Inc. built a new factory on Lexington Ave. This factory was four stories and almost 10,000 square feet. This new factory also contained a brass foundry where all the padlocks were cast. 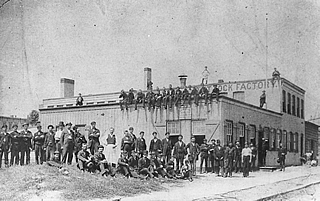 By the turn of the century, nearly two hundred employees were now casting, assembling and shipping an estimated 100,000 padlocks. Railways were Wilson's biggest consumers. 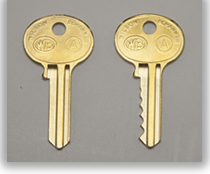 The most popular WB padlocks sold to the railroads were the models " 115 " and " 119 ".These models were produced in great numbers. 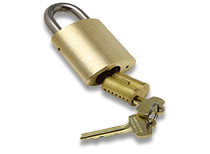 Even today, these locks can readily be found at many flea markets and computer auctions at a very reasonable price. 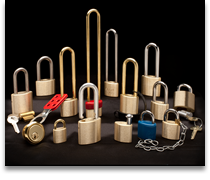 Before Wilson Bohannan passed away on February 22, 1896, his patented padlocks could be found worldwide. He enjoyed a fine reputation for his "Well Built" padlocks and left behind many friends. His thriving business was left to his family so that future generations could follow in his footsteps. Wilson Todd Bohannan, who was Wilson's only son, took his father's position with the company but died 1904 at the age of 44. The next generation to keep the business in the family was Wilson Bohannan Tway. By 1926 the factory on Lexington Avenue was nearly 40 years old and Wilson Tway decided it was time to leave Brooklyn. Earlier in his life, while traveling across country in the army, he had gotten off a train in a small town in the Mid-West and was quite impressed with the towns relaxed atmosphere. This town was Marion, Ohio. So in 1927, he moved the entire outfit to the quaint town of Marion. As times changed, so did WB padlocks. 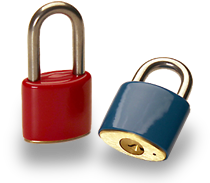 Switch locks were now outdated and the competition was already producing pin tumbler padlocks. By the late 1930's, WB introduced its first "pin tumbler" mechanism padlock. 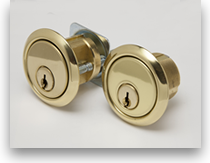 This new padlock allowed for many more key changes and, for the first time, master keyed systems were offered. The market for padlocks was also changing. New highways filled with freight trucks were quickly absorbing electric railways. 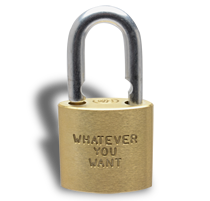 Now the focus was on Public Utilities, and they remain to this day, the largest consumer of WB padlocks. 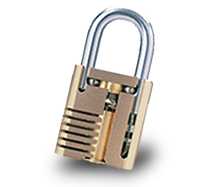 By the late 1950's WB introduced its first extruded solid brass padlock. 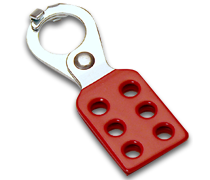 This new weather resistant padlock was designed for outdoor utility usage and are still being produced today. 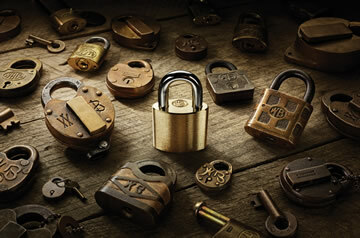 Wilson Bohannan is the oldest family owned padlock company still producing padlocks in the United States. A fact that Wilson would certainly be proud of.